We’re only a month into 2015 and already Transition Darebin calendars are starting to fill up. We’ve have a couple of great events including the years first food swap and a ‘fun-raising’ berry picking trip but there is loads more coming. Transition Darebin is built on initiatives and project that help build a ready and resilient Darebin. All programs are run by a group and we have two groups who are looking for new members to help coordinate them. One of the surprising things about starting to move to a lower energy lifestyle is realising how separated from food we’ve become. Using things in season, preserving those things that we have too much of and making the best use of what we do have are skills that are less and less common. The convivial kitchen is an initiative that brings people together with cooking, preparing and preserving skills into a fun and collaborative environment where we learn by doing. This group has kicked off with a ‘how to kimchi’ session but needs people who are interested in learning and sharing. So if you have a skill, an interest or just want to be involved and help this group grow and thrive then let us know at transitiondarebin@gmail.com. Of course we’re also always on the lookout for new ideas, enthusiasm or projects. If you’ve got something you would like some help getting moving in Darebin then let us know or come and have a chat at the monthly coordination meetings. Do you want to share your knowledge in a community environment? Alphington Community Centre Sustainability Program is always looking for Darebin residents to help to spread the word about sustainability, share a skill or guide others to learn more. This centre already has a great verge garden, commercial kitchen and is looking at setting up composting hubs, community gardening groups and lots more. It’s summer so they’re particularly looking for some people with knowledge around seed saving and propagation as well as a somebody to help guide a passata making day. If this sounds like you or you have any other questions contact Bryony on 9499 7227. Building community, whilst raising funds for local projects is what this group is all about. Whether it’s tours, workshops, stalls or just an activity to take advantage of a local resource or a sunny day, the fun_raising group are always out and about. 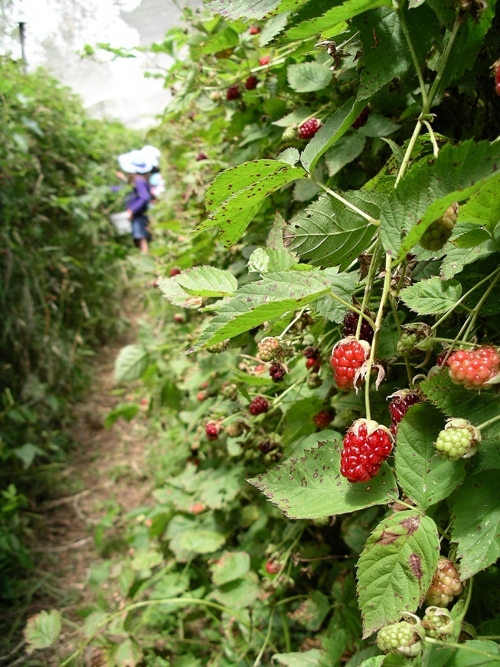 We have already kicked off 2015 in grand style with a visit to a ‘u-pick’ berry farm in Silvan where TD’ers as young as four went to town on fresh strawberries, blueberries and blackberries. It was an amazing morning, not just because of the sheer amount of delicious fruit but that some of it actually made it into the baskets and back to Darebin and didn’t all get chomped on site. This was a great day and just the first of many ‘Fun-Raising’ events. But we need your help to build the activities, the diversity and the numbers. So if you’ve got an idea, or just like the idea of building community through enjoyable activities then let us know at transitiondarebin@gmail.com. Come along to a facilitated workshop to generate ideas and design our community shed! Enjoy a site analysis tour and integrating community views including accessibility, saving water and energy and leaving spaces for a rocket-cobb oven and aquaculture.In collaborative design style, everyone will select their favourite design aspects to create an ultimate design! This is only the beginning. Our design will lead to more skills sharing activities — gaining a permit, sourcing materials and building the community shed! Come along to a facilitated workshop where we will convert wooden pallets into chairs, planter boxes and a wicking bed for our neighbourhood. The facilitators from Urban Bush Carpenters will guide you through the process of deconstruction, design and build.This workshop is not complicated, will be relaxed and fun for the whole family!! 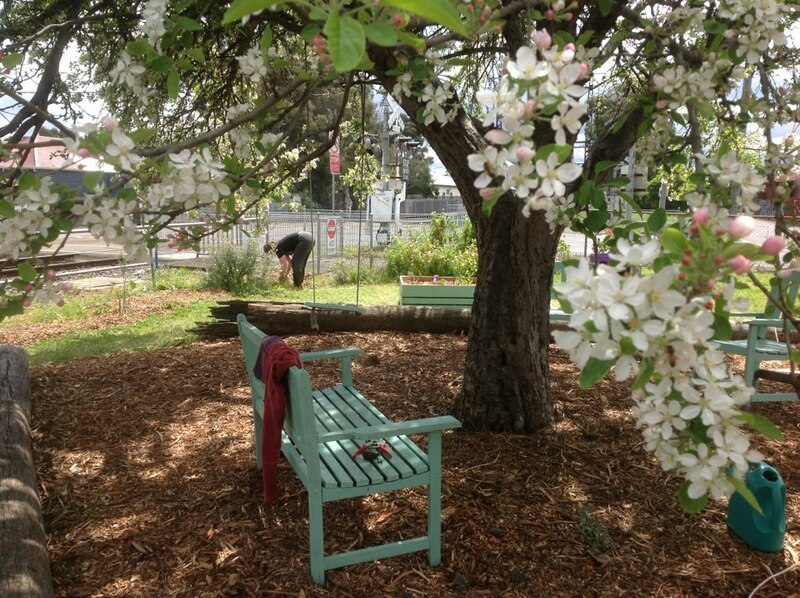 As part of Clean Up Australia Day, Our Apple Tree (a Transition Darebin Initiative) will be hosting a clean up site on March 1st. We’ll be starting from the Apple Tree at the Corner of Herbert Street and Beavers Road and plan to work north into the ‘Croxton Commons’ space which will give us a great chance to check out the progress on this TD ‘coming soon’ space. The day will culminate in a ‘waste free barbie’ at Spencer Park so will be a great day. For those further south our friends at the Northcote station group will also be hosting a site and will meet at the Herbert Cafe. For more information check out Our Apple Tree Herbert Street on Facebook. Sometimes it’s hard to explain why Transition Darebin is working towards a lower energy future. 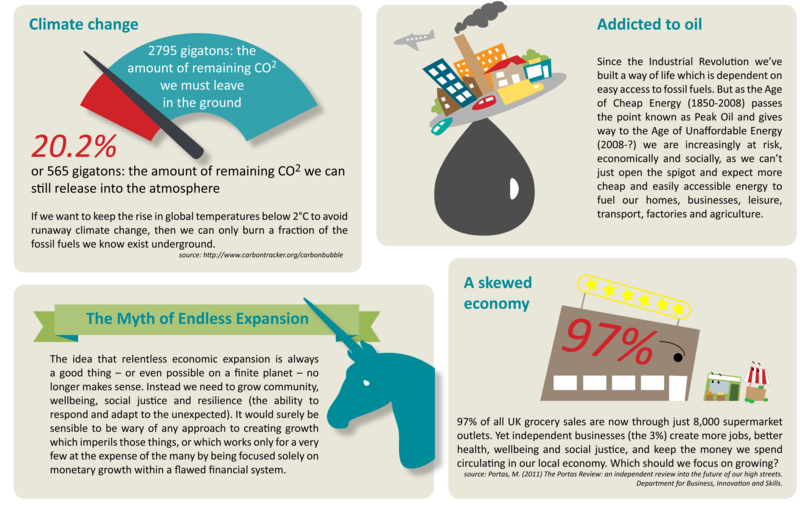 We hope this infographic (courtesy of transitionnetwork) helps. Have you got lemongrass. Next time you need to tie up a rogue tomato or raspberry, rather than reaching for the twine or material why not pluck a lemongrass leaf instead. They make great ties and just get composted with everything else when the plant has had it’s day. There is lots happening over the next couple of weeks including the TD food swap on the 14th and the Sustainable living festival. For all the information about what’s going on in Darebin check out the calendar on the website. Got an event and want TD to spread the word? Let us know what’s going on and we’ll be happy to help. After all that activity, a little quieter this weekend… but don’t forget this Sunday the 20th is our next monthly gathering. Stay tuned for details of our skills-share session as part of the general gathering! Thanks to everyone who came to Transition Darebin’s first heart and soul workshop on the 6th of November. We had neighbours from Transition Banyule and Whitehorse with us and it was a lovely day to share with our fellow transitioners. There was yoga, there was meditation, and sharing of our thoughts, feelings and commitments about the world and our dreams for the Transition. A workshop using Joanna Macey’s ‘Work that Reconnects’ as well as elements of meditation and yoga. Our aim is to refresh, renew and re-inspire Transition Darebin members and our fellow travellers. In the midst of all the work we do for our community and our world, sometimes we forget to nurture ourselves. RSVP to Emily Coles by 28th of October. Places are limited so please get in early. Spinning yarn from rabbit fur! What an inspiring afternoon learning all about Angora Rabbits and how you can make clothes from their fur. It is the softest stuff I have ever felt and when knitted into clothes is just divine. What amazed me about this afternoon was not only has Asphyxia created her own house out of mudbrick, created a garden that supplies oodles of fruit and vege but also has an animal that supplies her with wool to create her own clothes. The rewards of this type of lifestyle are huge. Asphyxia mentioned wanting to see if she could live like a “medieval woman”- what a great aspiration in this fast paced, consumer orientated society. Asphyxia will show us how to look after Angora rabbits and turn their fur into clothes we can wear. You can even have a go at spinning some yarn! Where: 7 Bower Street Northcote (Asphyxia’s house: down the back behind number 5). Close to Dennis railway station and 251 and 250 buses. contact Sally: sally.macadams@gmail.com / 0415 099 829 by Thursday 14th of April – first in best dressed! The clothing and materials working group are hosting regular casual get-togethers where people can bring along a crafty project, maybe get some tips and advice, or maybe help someone else with something they are making. Our first crafting session will be at 1/15 Ballantyne Street, Thornbury from 2pm on Sunday the 10th of April. We will look at making this a regular event if it proves popular! Other venue suggestions are welcome. Entry benefits the Heritage Fruit Society – $10 adult; $20 family; $2 child. Talks by Alana Moore (chooks), Permablitz, apple tasting, stalls (info, food & drink), trees & fruit for sale; children’s activities. Bring your picnic gear, water, sunscreen. Togetherness: We could meet up for lunch at 1pm at the Yarra River via the arboretum walk between fruit and nut trees. Transport: It’s a hilly 5km bike ride from Eltham train station, so you keen and fit people, meet us at the orchard gate at 11am. Interested in car pooling? Please contact Marion at marioncin@fastmail.fm if you need a list or wish to offer one.